Brighten your space with this red metal picture frame. 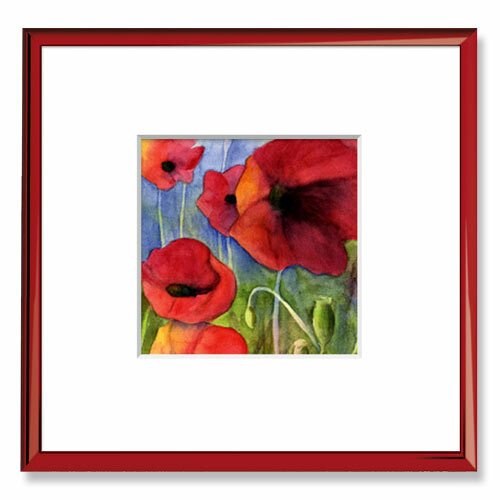 Its narrow, rounded profile and semi-gloss finish will make your art photos, colorful prints or mosaics look stunning in any space from the living room to the conference room. Add a mat – or two – to enhanced your pictures! 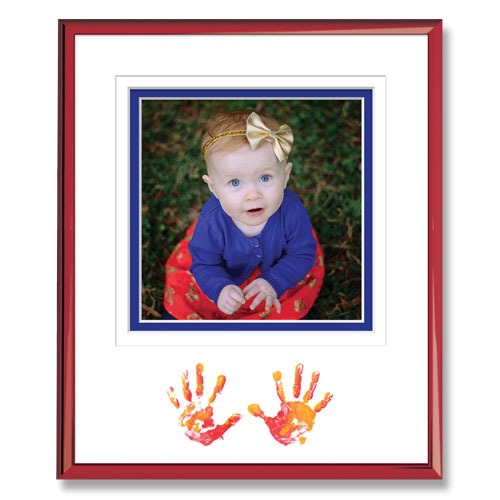 Frame your favorite photos for personalized gifts! Customize your size to 1/8th of an inch. 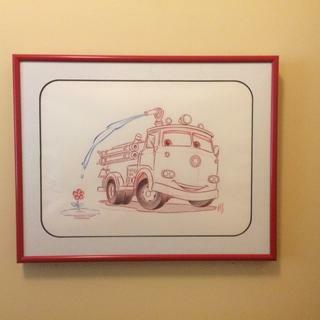 The frame came right on time in perfect condition and with the right instructions. Love the frame ! A perfect match. As always, the quality is great. The frame is easy to put together. Difficult to get the corners to fit together just right, but once you find the right configuration it looks great. The red frame will make the red in my picture pop! The frame color highlights the dominate color in the print. 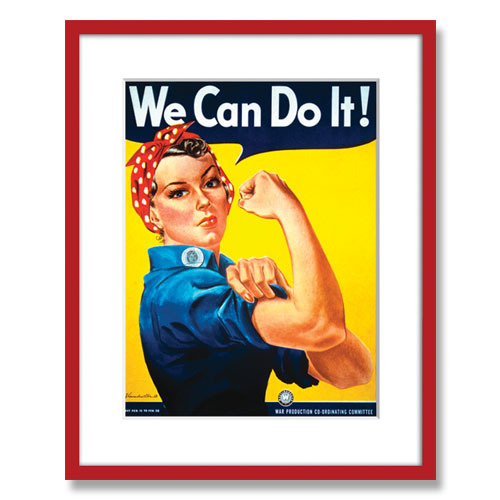 It looked to be a nice, narrow-profile frame for a poster for our granddaughters room. Red is a favorite color of our daughter-in-law. have a "fun" watercolor of llamas I picked up in Peru - wanted thin but colorful frame that wouldn't detract from the painting. 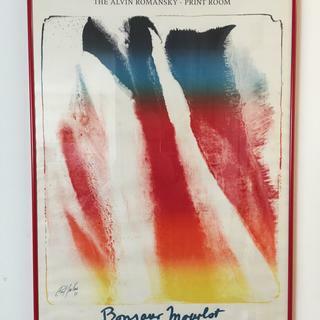 It works well for a poster frame, but I wish you still carried these in a variety of colors and offered them in small and large. How wide is the front edge of the frame? I’m concerned that it might be so narrow that it won’t be seen as I’m hanging it around a piece of metal art, not framing a picture. BEST ANSWER: Hello! The face of the frame is 3/8" which is very minimal. Please perform a search for 'Red Frames' on our website to see other choices. 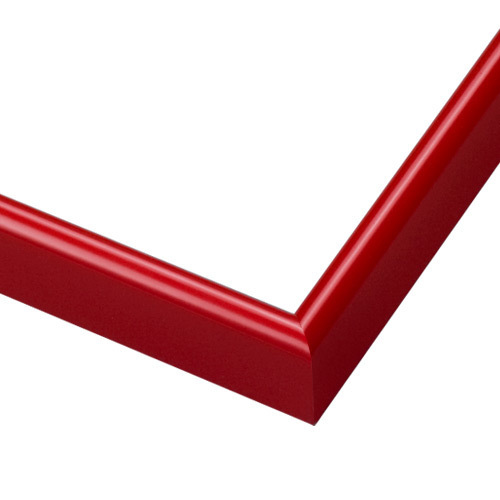 I have attached a suggestion below which is a Red Wood Frame with 7/8" width. Thanks. BEST ANSWER: Hi Lea! The LUS8 frame is 9/16" deep and will only work with a canvas that is no deeper than 1/2".